With the 2016 model lineup coming to an end, General Motors is getting ready to launch its 2017 models in the summer. Chevrolet, Buick, and GMC each have 3 new vehicles scheduled to introduce that feature updates to existing models or are completely new. Bolt EV – The Bolt EV is an all-electric vehicle with a range of 320 kilometers per charge. It is a small crossover style vehicle designed for small families or couples and it will have a maximum cargo space of 1602L thanks in part to folding 60/40 rear seats. It will also come equipped with Chevrolet’s latest version of MyLink infotainment system which will also include Apple CarPlay and Android Auto. Expect to see it in Fall 2016. Cruze Hatch – Most mainstream manufacturers have both a sedan and hatchback version of their entry level compact vehicle. 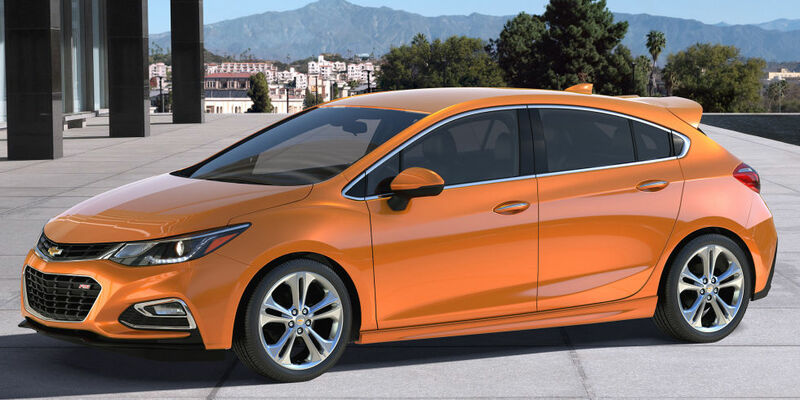 Now Chevrolet is joining the mix with the Cruze Hatch. It features the same sleek styling and sporty accents as its sedan sibling but it offer more cargo space. It will use the same 1.4L turbocharged engine found in the sedan and fuel economy will remain identical at 5.9L/100km on a highway. It will arrive at dealerships in fall 2016. Trax – The Chevrolet Trax will see an update to its styling later this year. This urban crossover will share some styling cues with its Cruze sibling featuring a similar front fascia and new LED daytime running lights. 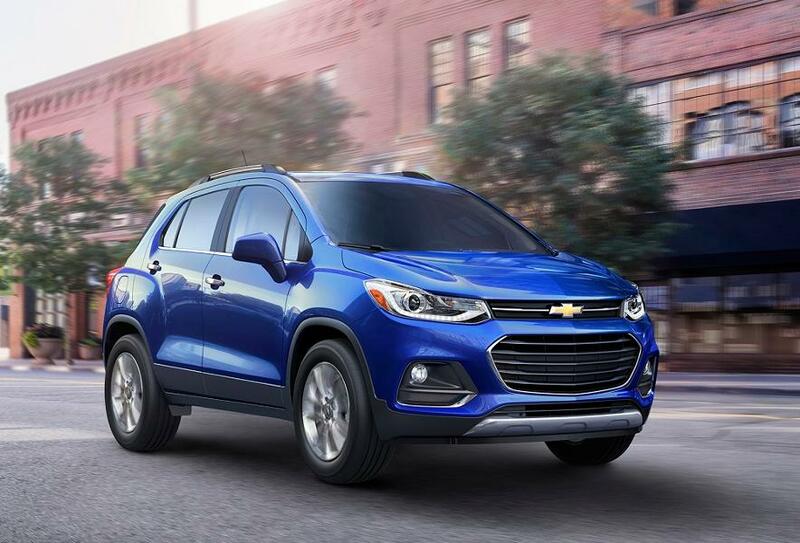 The Trax will also be updated with a host of new technologies such as the latest version of Chevrolet MyLink infotainment system with Apple CarPLay and Android Auto support, new lane departure warning system, rear cross traffic alert, and forward collision alert. Expect to see it at dealerships in the Fall. 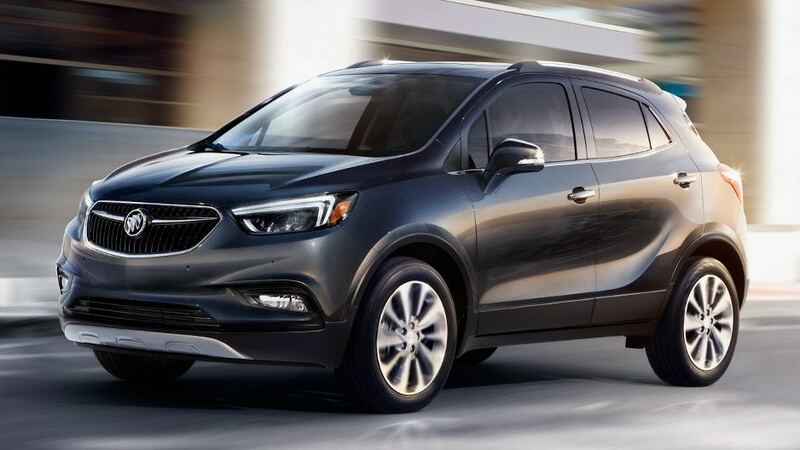 Envision – The Envision is an all-new vehicle from Buick. This luxury SUV will be packed with a comprehensive suite of safety and technology features such as 5 integrated cameras, 10 ultrasonic sensors, and 3 radars to give you a full 360 degree “safety net” so that you can have peace of mind when driving. It will be powered by a 2.0L turbocharged engine producing 252hp with that power going to all 4 wheels via an all-new all-wheel-drive system. Expect to see it later this summer. Lacrosse – The Lacrosse sees a styling refresh for the 2017 model year with a look that’s more striking to look at on the road. The interior also receives a refresh with wood trim and soft leather covering almost every surface of the interior. 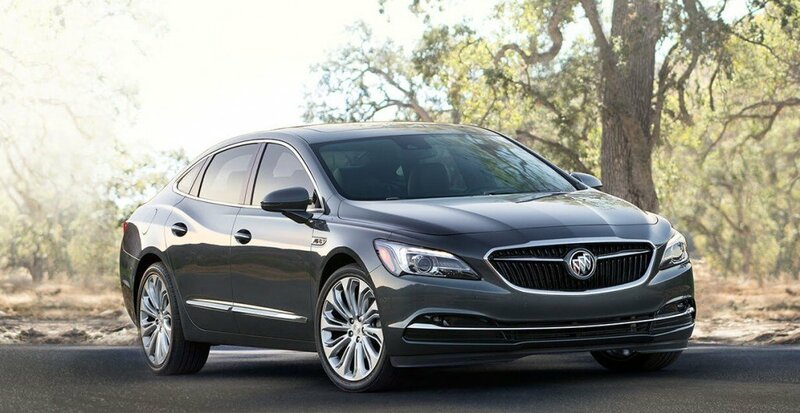 4G LTE with WiFi will be available on the Lacrosse along with Buick’s updated IntelliLink system that allows for Apple CarPlay and Android Auto integration. A 3.6L V6 engine will power the Lacrosse along with an available new twin-clutch transmission and all-wheel-drive system. It will arrive in dealerships this summer. Encore – The Encore also sees a styling update for 2017 with new LED daytime running lights that have an instantly recognizable Buick design. In addition to the fresh styling,m the Encore receives new safety technologies such as blind zone alert, lane departure warnings, rear cross traffic alert, and forward collision alert. Inside, the Buick will be available with the usual plethora of gadgets one would expect from a luxury vehicle such as Buick IntelliLink infotainment system, 4G LTE with WiFi, RemoteLink app which allows you to lock/unlock doors, start the engine, and check fuel level from your smart phone. There will also be optional satellite radio and satellite navigation. It will arrive in showrooms later this summer. Acadia – The 2017 Acadia receives a fresh update throughout. 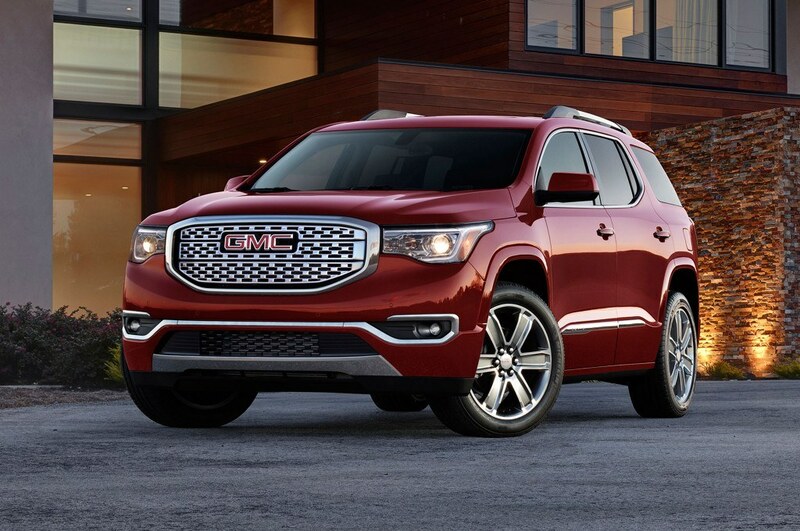 From front to back, the Acadia receives a bold new exterior look accented by LED daytime running lights and LED taillamps. It will also be packed on the interior with new features such as second row heated seats, dual SkyScape sunroof, real wood accents, heated and ventilated front seats, a surround vision camera system, front pedestrian braking, and adaptive cruise control to name a few. Bust best of all, you don’t have to wait long for it because it will arrive this spring. 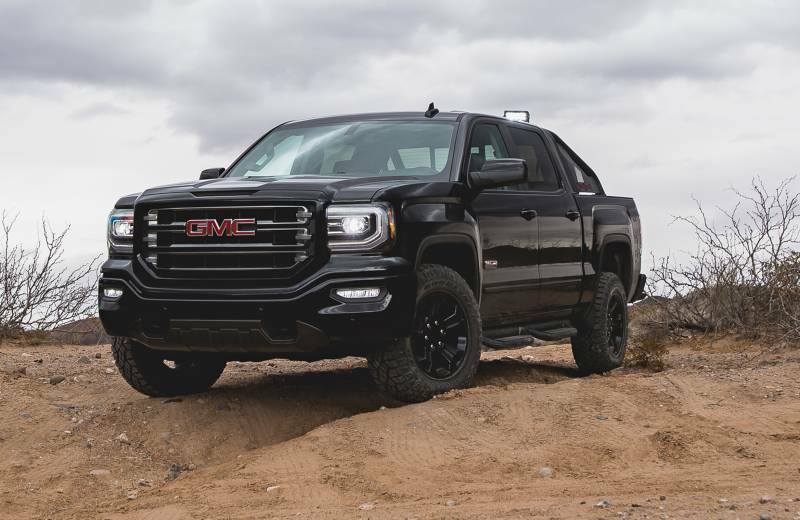 Canyon Denali – The popular GMC Canyon will now receive the Denali treatment. It will feature distinctive styling along with 20” ultra-bright machined aluminum wheels, heated and ventilated front seats, heated steering wheel, forward collision alert, lane departure warning, chrome assist steps, spray on bedliner, navigation system, and Bose premium sound. Expect to see it in the Fall. Sierra 1500 All Terrain X – The All Terrain X is a special edition Sierra 1500 that will incorporate off-road capability with a bold and striking look. The 5.3L V8 engine will be standard on this edition along with off-road tuned Rancho monotube dampers, an underbody transfer case shield, black painted 18” wheels, an Eaton automatic locking rear differential, and a black sport bar that is a convenient mounting point for off-road LED lamps. The All Terrain X will be available as both a double or crew cab and expect to see it in showrooms in late Spring.